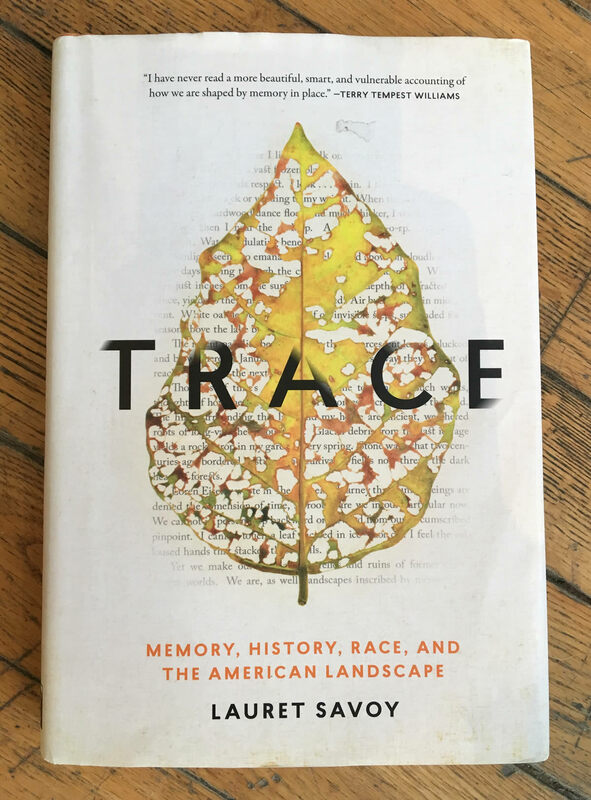 Lauret Savoy's 2015 book, Trace: Memory, History, Race and the American Landscape, takes its departure point at the kind of epiphanic moment where most climbing stories end. As a child, the author had visited Point Sublime at the edge of the Grand Canyon for the first time with her family, and felt overwhelmed by awe: "We had little forewarning of where the Kaibab Plateau ended and limestone cliffs fell oh so far away to inconceivable depth and distance. The suddenness stunned. No single camera frame could contain the expanse or play of light. Canyon walls that moments earlier descended into undefined darkness then glowed in great blocky detail. As shadows receded a thin sliver in the far inner gorge caught the rising sun, glinting—the Colorado River." Years later, Savoy becomes a professor of environmental studies and geology, and she looks back through historical accounts for earlier experiences of the place. In the nineteenth-century writings of Charles Dutton, she finds some of the descriptions of the Romantic sublime that came to influence so much of American mountaineering and climbing literature. Dutton proclaimed: "The lover of nature, whose perceptions have been trained in the Alps, in Italy, Germany or New England, in the Appalachians or Cordilleras, in Scotland or Colorado, would enter this strange region with a shock.... Great innovations, whether in art or literature, in science or in nature, seldom take the world by storm." Over time, Dutton predicted, his readers would learn to see the vast and dramatic features of the Western landscape as monumental and inspiring, as symbols of an emerging, national vision of appreciation for the American wild. But Dutton's was a narrative written for a readership of European Americans, and specifically, for those who had the leisure and money to travel. The search for other narratives and other meanings of nature becomes, for Savoy, the beginning of a quest for buried memories, at once personal, national and global. "I've long felt estranged from time and place, uncertain of where home lies," she explains. "My skin, my eyes, my hair recall the blood of three continents as paths of ancestors—free and enslaved Africans, colonists from Europe, and peoples indigenous to this land—converge in me. But I've known little of them or their paths to my present." She sets out across the United States—from mountains, deserts and cliffs to burial grounds, plantations, the Mexican border and the US capital—seeking to uncover some of the many, diverse stories of peoples whose legacies were all too often erased from histories of the land. "What lies beneath the surface of maps and names?" Savoy asks. "The answers, and their layers of meaning, of course depend on one's point of view. Whether what came before 1492 is considered prelude to an American story beginning to unfold. Whether participants from places other than Europe are seen as supporting cast or props. Whether 'we' and 'our culture' embrace a much larger, changing whole." Since the US presidential election, reports of hate crimes have been on the rise. And such questions about inclusiveness are just as urgent, now, as when she first published the book a year ago. Although Trace is not a climbing story, it's one that has significant messages for climbers—and for anyone today. For mountain ranges do not exist in a sealed-off world. They remain connected to valleys and waterways, to the currents of air that flow from cities and factories, to the migrations of animals across park boundaries, and the increase of greenhouse gasses—just as our existence, too, is interwoven, inextricably, with that of all human beings and all living things. Much of prior mountain literature, all too often, has been solipsistic and exclusionary. More than ever, we need writers like Lauret Savoy, who can help us see our shared land for what it has been, for what it is, and for the many possible futures of what it can be. In a world in which so much seems starkly uncertain, there are much greater risks to all peoples than the individual and self-chosen ones that climbers face. There are also greater responsibilities that we all share. Trace describes a landscape of fragmentation and dispossession, of environmental degradation and climate change, but also one of natural beauty and lingering hope—in an act that Savoy calls re-membering, a word resonant with the idea not only of recollection of the past, but also of piecing together what has been broken, of re-creating a single body, of finding a sense of nation, landscape and home that includes all dwellers in this country. "To re-member," she writes, "is to know that traces now without name...still mark a very real presence. To re-member is to discover patterns in fragments." And, later, she concludes, "For if the health of the land is in its capacity for self-renewal, then the health of the human family could, in part, be an intergenerational capacity for locating ourselves within many inheritances: as citizens of the land, of nations even within a nation, and of Earth. Democracy lies within ever widening communities.... Re-membering is an alternative to extinction." We might all do well to find not only wonder and adventure in our experiences of the wild, but also to derive inspiration for new choices and actions when we return to our cities and small towns. We might remember that land itself, as Savoy wrote in 2015, "preceded hate."